LSI offers you access to this library of research materials. Our free white papers come in PDF format. 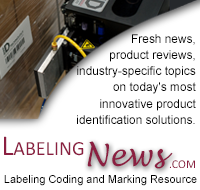 Understanding Pressure Sensitive Labeling Equipment. White Paper on the Intelligent Label that Combines RFID & Bar Code Technologies. Track & Trace for Pharmaceutical Labeling & Marking White Paper.